On Wednesday, the EU High Representative Federica Mogherini was the keynote speaker in Washington D.C. at the 4th Annual Symposium organised by the European Union Representation to the US on Common Security and Defence Policy. In her opening remarks in the US Institute of Peace, Ms. Mogherini was clearly substantially blunter than a few months ago during her first visit to the US Capital. She said that by annexing Crimea and continued aggression against Ukraine, Russia has become the biggest threat to the EU. Ms. Mogherini said: "Europe is usually more willing to define itself as a soft power, which we are, and a very successful one." She added, "The choice here is not between hard and soft power. It is between being a global power or a powerless spectator of regional and global events that concern us Europeans in any case. Like it or not." The EU's High Representative also emphasized that Europe needs a strong and committed America, as its oldest and closest ally. "And America needs a strong Europe, for its own national interest," she said. "We hold a joint place in the world. We can only stand to today's challenges if we stand together." Later in the morning, a large number of attendants participated in a panel discussion addressing Hybrid warfare and the threats it represents to Europe's Eastern parts, particularly those with Russian minorities or bordering Russia, as well as Europe's South. Democratic Senator Jeanne Shaheen (New Hampshire) said that "The Russian aggression has become a wake-up call" and stressed the need for Europe and NATO to integrate some defence capacities and play a more active role to secure peace and prosperity globally. In the late afternoon, a panel discussed some broader issues in the Trans-Atlantic relationship. 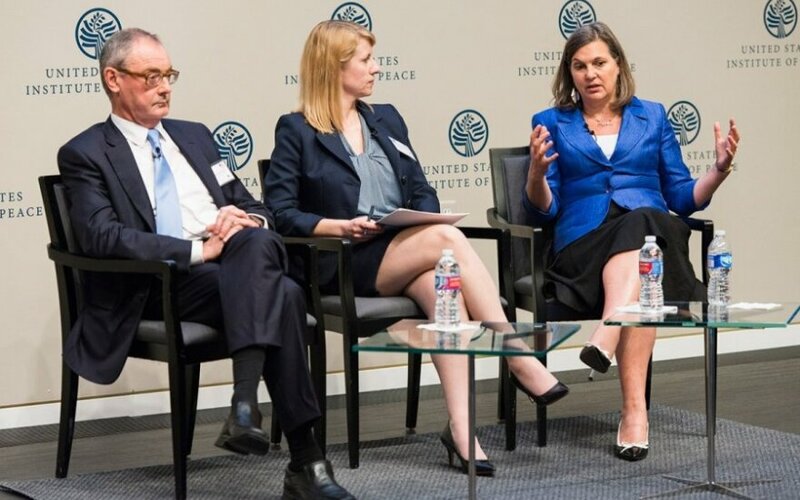 The EU Representative to the USA, Ambassador David O'Sullivan, and Victoria Nuland, the Assistant Secretary of State for European and Eurasian Affairs, talked about a large number of common issues of interest to the Trans-Atlantic relationship. Ms. Nuland was adamant that the sanctions against Russia must be maintained as long as the Minsk Agreement are not fully implemented. 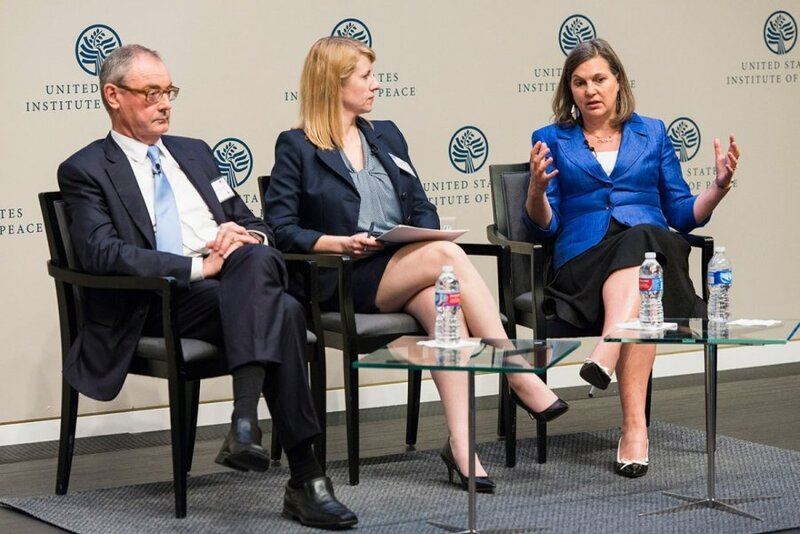 Ms. Nuland acknowledged the difficult and complex task at hand in Russia's propaganda war, but pointed out that the declining Russian economy is making life increasingly difficult for ordinary Russians and harder to defend for Putin.